If you are a beginner at Google AdSense and looking for a complete guide to website ads, then this article is for you. The following is a beginner’s guide to Google’s advertising network for publishers. But, before starting with the article, let us first understand What is AdSense and how does it work? Google AdSense is a Pay per Click advertising company that allows publishers to show advertisement on their websites. So, how does it work? It starts with the advertisers who want to promote their company or product online. They will choose the keywords for which they would like to advertise on. Next, based on these selected keywords, Google Adwords will start showing advertisements online. Of course, it will charge advertisers for showing these advertisements. The amount generated from these services will be a revenue for the Google. Next, Google will show the advertisement on the publisher’s website. These advertisements will be based on the surrounding content of the website. Here, Google will pay them for showing an advertisement on their website. This will be a cost to Google. So, Google will charge the advertisers for running promotion campaign and pay the publishers for showing advertisements on their website. 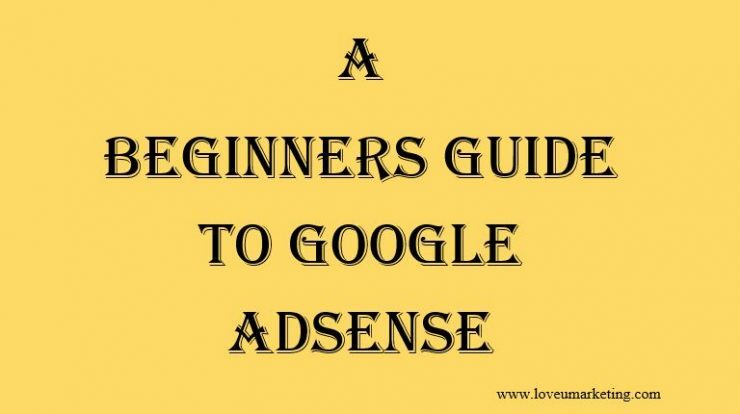 Now, let us start with the basic of Google AdSense. 1 How to Create an AdSense Account? 2 How to manage your sites in AdSense? 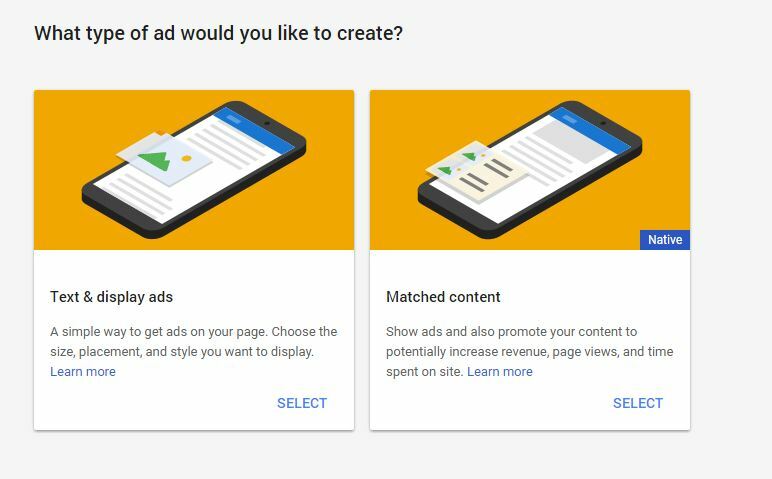 3 How to create a first ad unit in Adsense? 6 How to create AdSense Experiment? How to manage your sites in AdSense? To avoid misuse of your AdSense account, you need to first verify your website. If you use the AdSense code without site verification then you will not receive the amount generated from your AdSense account. This will ensure that you will not get banned because of someone else using your AdSense code. For example: If someone is using your AdSense code on website ‘X’ but this website is not verified by you then this will not impact your AdSense account. You will be safe from abnormal activities on this website. That’s it. It will add and verify your site to AdSense Account. Once you verified the site, you will eligible to show advertisement on your site. How to create a first ad unit in Adsense? In the layman language, an ad unit is a unit of an ad which will be displayed as a result of one AdSense code. So, if you generate the AdSense code then it will create ad unit for you. Fill all necessary details and click on ‘Save and get code’ option. That’s it. Your ad unit will get saved and you will get the code. Next, paste this code in your website to start displaying advertisements. If you forgot the AdSense code or want to change the layout of the ad unit, then it can be done at the same place only. Go to ‘My Ads’ for this details. Yes, it is possible to block particular Ad, Category, and Network in the AdSense Account. You can block the low paying ads on your site. Here it is important to note that as per Google it is not advisable to blocks ads on your website. It will reduce the competition for your ad space by removing advertiser bids from the auction. Further, Google claims that it always shows the highest paying advertisement on the website. So, there is no need of blocking ads on your site. Next, block the ads as per your requirement. That’s it. It will block ads on your site. Once blocked, you will not able to find these advertisements on your site. You can even block the ‘Sensitive Categories’ here. Following payment options may be available to you: Checks, Electronic Funds Transfer (EFT), EFT via Single Euro Payments Area (SEPA), Wire Transfer and Western Union Quick Cash. In the “Add a payment method” section, enter your bank account information. That’s it. Google will process the payment as per your instruction. Remember, in Google Adsense, the threshold limit is 100$. You will not receive the payment unless you reached this threshold limit. How to create AdSense Experiment? One of the ways to increase your Adsense earning is to change the layout of your ad unit. But changing the layout everytime will be a cumbersome activity. So, instead it is better to create AdSense experiment and once you are satisfied with the same make it permanent. That’s it. It will create an experiment for you. Next, based on your instruction it will choose the winner. How many AdSense ads can be created per page? How to Increase AdSense Earnings? How to Increase AdSense up to 50$? How To Get Google AdSense Approval Fast? How To Get More Number Of Adsense Clicks? Keep visiting this post. We will keep updating this. Further, feel free to contact us if you face any problem with your AdSense Account and its earning. We will be happy to help you.